FRANKFURT -- Volkswagen Group has agreed to extend a 20-billion-euro ($21.2 billion) bank credit line, which is part of the automaker's efforts to maintain its financial strength while it counts the full cost of its emissions-cheating scandal. VW secured the one-year bridge loan last December after the biggest corporate scandal in its history wiped billions off its market value and made it much more expensive for the company to borrow in the debt market. The credit line will protect the financial framework for the group's operations and increase its financial flexibility, VW said. VW faces a record-breaking corporate settlement with regulators and vehicle owners in the U.S. where in September 2015 it was found to have cheated diesel engine emissions tests. A U.S. judge last month approved VW's $14.7 billion settlement with authorities and owners of 475,000 polluting 2.0-liter diesel cars and is due to discuss proposals for buybacks and fixes for 80,000 3.0-liter vehicles on Wednesday. VW said it will return to the unsecured bond market in due course and was still taking advantage of ABS (asset-backed securities) transactions and commercial paper. Two sources in the financial industry told Reuters that VW had drawn up to half of the loan by the summer, but the carmaker said the bridging loan was currently undrawn. Sources had told Reuters in April that VW was hoping to return to the bond market as early as May of this year as it sought to replace the costlier bank borrowing. At the time it decided against a such move. But VW is still looking to return to the bond market and once a settlement deal for its 3.0-liter diesel engines is approved by the U.S. court, it should be able to outline its emissions-scandal liabilities in a bond prospectus, the sources said. VW and lawyers for owners of larger diesel cars agreed earlier this month on a buyback of about 20,000 older vehicles and a software fix for 60,000 newer models. 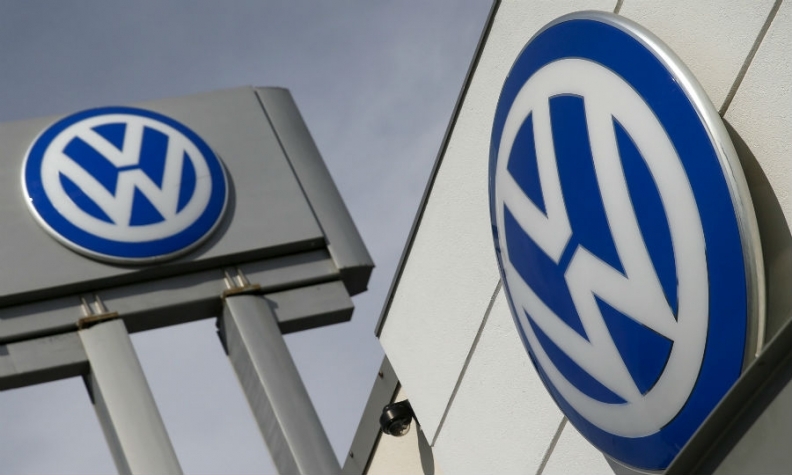 Volkswagen's credit rating has suffered since the emissions scandal broke. S&P, for example, downgraded the carmaker in two steps to BBB+ from A. That compares with an A rating for Daimler and A+ for BMW. "Theoretically Volkswagen could launch a bond sale in December, but they'll wait for the best market window," one of the sources said, adding that the company was flush with cash. The second source said that VW is most likely to resume its borrowing on capital markets early next year by launching a multi-billion-euro bond.